Royal Mail's Postcode Address File (PAF) contains every known UK address and is updated every 3 months. Download the very latest and comprehensive UK Postcodes reference database - that's everything from County to MP name and National Park Names plus much more content along with their associated postcode. Royal Mail maintains this central business address file. Parliamentary Constituency name & MP are geographically matched to each Postcode in the UK. Grid references defined by Ordnance Survey's CodePoint locate the Postcode to 1 meter accuracy of the first building within the Postcode. The Free Postcodes List is a perfect reference tool for the Postcode geography of the UK. The list contains 124 Postcode Areas and almost 3,000 Postcode Districts. The English Postcodes List contains all 1.8 million UK Postcodes including the last two digits of the postcode (Postman's Walk - example UB7 7EB). As approved distributors and value added resellers, we have created this subset data file using Royal Mail and Ordnance Survey source files and have simplified their RAW data to such an extent that we are able to offer sub sets of their files cheaper than if your ordered direct. 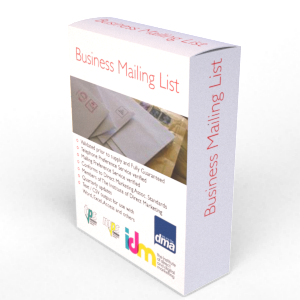 The file will be supplied to you under a Royal Mail and or Ordnance Survey licence for 12 months unlimited use. During this time you will receive quarterly updates. The English Postcodes data is ideal for validating Postcode relating information to ensure Postcodes are current and accurate. The English Postcode data covers England only. The data is supplied as a Comma Separated Variable (CSV) delimited text file using double quotes by default. This field format will open very easily using almost any software application including but not limited to Excel, Word, Notepad, Access, SQL etc. Due to the size of the file, older versions of Excel may not be an option as Excel limits any file size to around 65,000 rows / records. The English Postcodes data is by default emailed at the time of order using a secure download link delivery method. If you require the data supplied in another format then we will be more than happy to accommodate you where reasonable to do so at no extra cost. The English Postcodes list is licensed annually for each user that has access to it. Contains Ordnance Survey data © Crown copyright and database right 2012. Contains Royal Mail data © Royal Mail copyright and database right 2012. The file is updated every three months and free updates will be made available to you so long as your licence remains current.